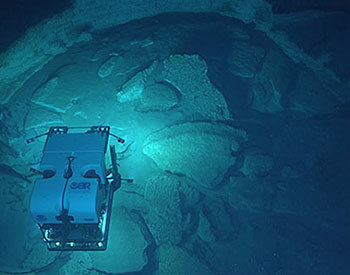 You might choose to learn more about why NOAA and its partners are exploring this particular deep-ocean area, what advanced technologies are being used and what explorers are hoping to find. You might also be looking to learn more about the explorers themselves so your students more fully understand what skills and expertise are required to support careers in ocean exploration. You just might need a short video or images to complete your lesson unit on a particular topic. Whatever your NOAA deep ocean exploration education needs are, we hope that you will find them all met here in the Expedition Education Module. 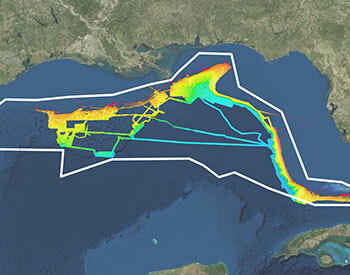 Why Are Scientists Exploring the Gulf of Mexico? The NOAA Office of National Marine Sanctuaries (ONMS) aims to provide teachers with resources and training to support ocean literacy in America's classrooms. See below for links to ONMS resources and resources associated with this expedition near the Flower Garden Banks National Marine Sanctuary. Bring ocean learning to life in your classroom through curriculum, lessons, activities, posters and more, all focused on Flower Garden Banks National Marine Sanctuary. From science and math to geography and art, you’ll find something here for every age level.